The outlook is pretty rosy for retailers this year. The high consumer confidence and low unemployment rates mean that people have more money to burn. 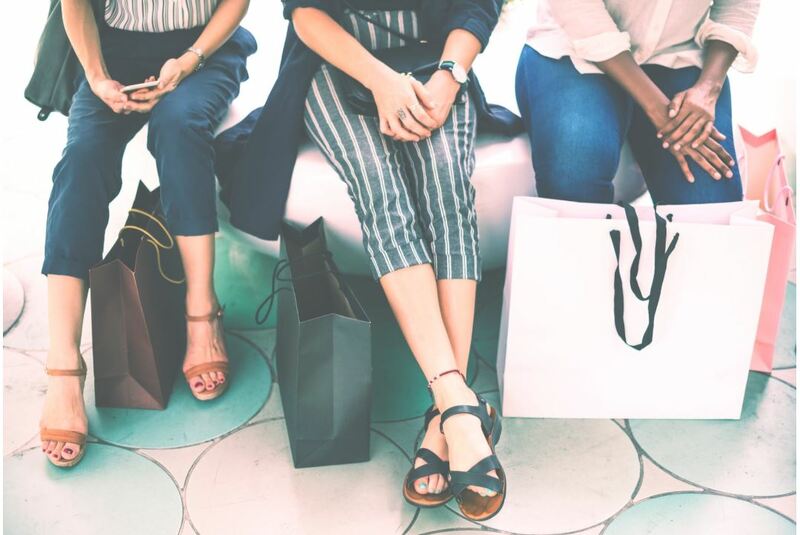 Deloitte’s yearly forecast for the holiday shopping season also showed that retail sales are expected to grow from 5 percent to 5.6 percent from last year. Sales could even hit $1.10 trillion. While the numbers look good, companies should consider that many of those shoppers are seasonal ones—people who won’t make another purchase from them for months (or ever). That is a massive missed opportunity as it costs more to catch the eye of a new customer than retaining the interest of an existing one. So make sure you take advantage of this upcoming holiday season to try and turn a seasonal shopper into a loyal customer. After all, a strong and loyal customer base means continued profit for your business. You have to think in terms of your client’s lifetime value (LTV). This is how much the customer will invest or spend in your store for his or her entire life. You should know how to calculate a customer’s LTV to ensure that you’re spending money on the right demographic and marketing strategy. Email marketing remains a very powerful marketing tool. It’s easy to use, convenient, and affordable. It also has a better response rate than direct mail and banner ads. And if used correctly, you can start developing loyalty in a seasonal shopper. Send Your Thanks with an Incentive: A thank you email is one of the best ways to improve your conversion rates. Improve your open rate odds by including an incentive that will make a seasonal shopper want to visit your site again. Add a discount coupon or a freebie. Add Value by Cross-selling: Use your knowledge of the shopper’s purchase history to upsell or cross-sell products. Suggest items that complement their previous purchase to start establishing a relationship with them. Request Feedback: Ask your customer for their opinions on your product and service. This tells them that you value their thoughts. Plus, you can also use these feedback as social proof for future customers. Make customer service a priority in your business and you have a higher chance of getting that seasonal shopper to come back. Show them that you care by personalizing their shopping experience. Recommend products based on what they have viewed or placed in their carts. A 24/7 live chat is also a worthwhile option since it provides them with the customer support they need without the hassle of calling or waiting for a reply. Great service also means taking positive action and making amends when mistakes happen. The best brand takes care of every customer all the time, and when things go wrong, they want to see that you’re taking steps to address it. The way Starbucks handled the controversy when two of their guests were arrested is a good example. The company quickly posted a statement apologizing for what happened and stated what they’re doing to correct their policies. A loyalty program can also turn seasonal shoppers into year-round customers. It helps to engage customers and keep their attention through freebies and discounts. Design a program that will keep your customer active and in the loop. For instance, award points for every purchase made. Once they reach a certain number of points, they can redeem them for a reward or a discount. To make your brand stand out more, offer a 15 percent discount instead of the standard 10 percent. Don’t relax just because you already made a sale. Retargeting seasonal shoppers will get them back in your shop. Remember that people are busier than usual at this time of year so you might need to remind them of the wonderful experience they’ve had with you. Send them a reminder to restock on the supplies they bought after a few months. Or email an exclusive offer to try out a new product they might like based on their past purchase. You can transform seasonal shoppers into regular ones. Convince them to return to your store. Send them incentives via email and enroll them in a loyalty program. Reach out to them and show that you value them. In turn, they will value and be loyal to your brand. And if you do your job well, they could even become your best brand evangelists.